The sun was shining and it was a great day to drive down to Yonge and Sheppard to go to our local Boston Pizza to have lunch and enjoy some great food from their new kids menu as well as their Adult menu. We were greeted at our table with the cutest little box for our daughter to explore and play with. This little box allows her to have some fun colouring and playing checkers while I get to actually talk to the other adults at the table. Kudos to Boston Pizza for not only thinking of the kids but also the parents who need to to talk uninterrupted for a while. We also had the pleasure of sitting with Jenn and her three lovely children. 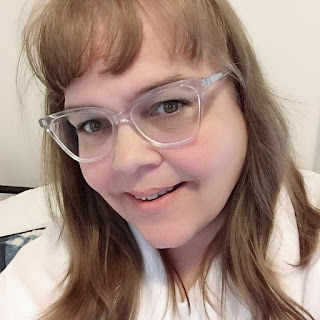 Jenn blogs over at One Blog, One Family and I had the pleasure of speaking French with her oldest son who attends a French Immersion school in their hometown. Seriously Jenn your children were so well behaved! Picture Taken by Mr DomesticMomma with SnyMed phone! The company was just delightful with meeting and connecting with fellow bloggers @SnyMed from Living High on the Hog, Without Paying Through the Nose and @adomesticmomma from Domesticated Momma. I am loving living in Toronto and getting out to events like this one and meeting so many wonderful people. Boston Pizza have made some changes to their Kids Menu offering some great alternatives like Pizza Pinwheels, Pizza Dogs and Chopstick Chicken n' Rice. They have the usual side dishes of fries, caesar salad and tossed salad but they have also added steamed vegetables that my daughter was excited to see since she just LOVES broccoli and cauliflower. The selection of food was just awesome and they had a lot of healthy options as well. Jenn says she loves their Salmon at Boston Pizza and I will take her word for it since I am allergic to fish. I am sure it is good because she said she orders it regularly. After our lunch was served by the great staff at Boston Pizza they brought out "The Panookie" for us to try. What is a Panookie you ask, well I am glad you asked. A Panookie is a giant, freshly baked, pizza-pan chocolate chip cookie served with vanilla bean ice cream and drizzled with chocolate and caramel sauces. Baked to perfection! Here is the good news for my readers Boston Pizza has given It's just my life... a $35 Gift Card to give away to one of my lucky readers so they can try out the new menu options themselves and they don't have to take my word for it. Also with a minimum donation of $5 to the Boston Pizza Foundation you receive one (1) FREE Kids Meal per visit with a minimum $14.00 purchase (excluding value of Kids Meal, gratuities, taxes and alcoholic beverages.) You can even use the card on the day you purchase it! Talk about a win/win situation. Helping others and saving money all at the same time.